Become a "Festival Patron" and help us continue to provide a great atmosphere and lineup for years to come. All "Festival Patrons" are given 2 VIP passes to use on Friday or Saturday night of the festival. 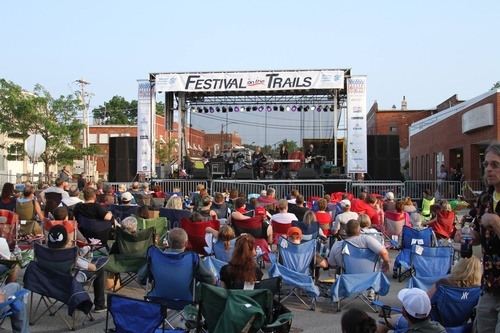 Festival on the Trails is a celebration for residents as well as an opportunity to showcase Gardner to the rest of the Kansas City Metro area. Annually we host approximately 15,000 visitors over two days! Nationally known bands provide entertainment both evenings. The Festival begins Friday night at 5:00pm and includes free entertainment and a variety of beverage & food booths. It continues Saturday morning with the 2nd Annual Color Run 5K and continues with a full day of activities for children, crafts, and commercial booths, a car show, food, and much more! The festival concludes on Saturday night with a nationally-known musical act.